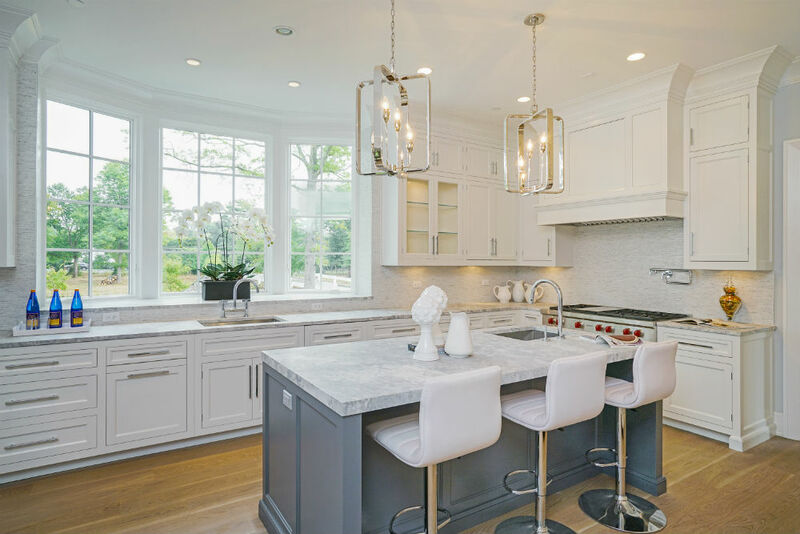 Georgio Cabinetry is constantly keeping up with current trends and improvements in kitchen design. 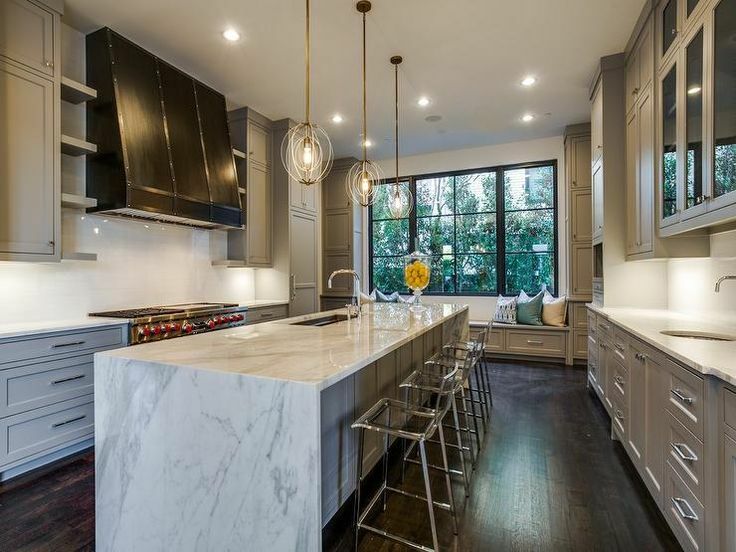 Whether you are doing a simple renovation or complete makeover, here are a few kitchen trends that we are loving at the moment. Quartzite is a natural stone that is continuing to compete with marble as an alternative for kitchen countertops. The reason is that quartzite is more durable and requires lower maintenance than marble. At the same time, quartzite still achieves a similar aesthetic appearance to natural stones such as marble, particularly in regards to its veining. Whereas marble is a very porous material that needs to be resealed after a period of time, quartzite is very non porous and will remain intact for a long period of time once installed. Waterfall style refers to kitchen slabs extending down the sides of kitchen cabinetry all the way to the floor. The look is very sleek and contemporary, but also works well in traditional kitchens to create a focal point. 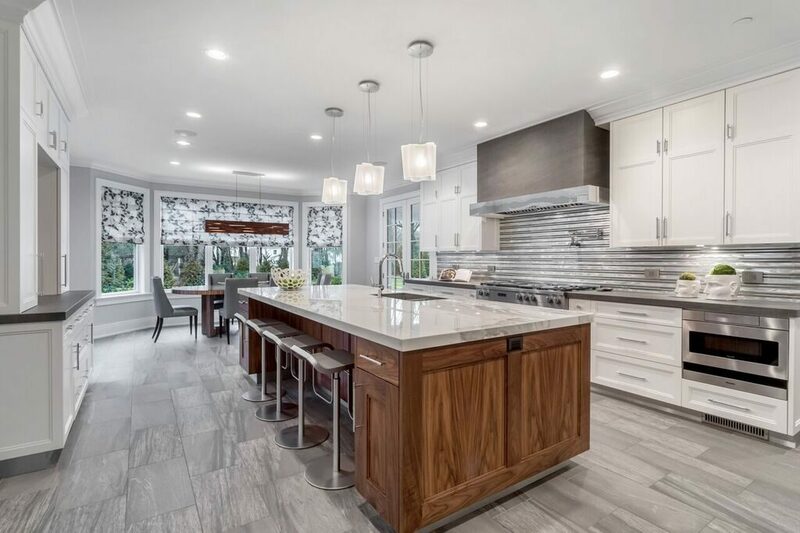 We especially love waterfall edges in homes that have open floorplans where you can visually see the kitchen island from other rooms in the house. With more surface area, the waterfall edges enhance the natural veining in the quartzite and/or marble slabs. Not to mention, waterfall edges also serve functional purposes. They are great for protecting your cabinetry and concealing appliances. While many people love their hardwood floors, we love switching things up and introducing tile floors into a kitchen space once in a while. Kitchen tile floor comes in either porcelain, ceramic, or stone. Aside from the easy maintenance with spilled liquids, tile flooring is aesthetically pleasing. Tile can be used to introduce a new geometric pattern into your space or to complement an existing stone. Lastly, tile floor is a great substitution if you have cabinetry that needs contrast, such as the kitchen below by Patricia Georgio Designs. Oversized hardware is something that we are recently experimenting with in kitchen design. 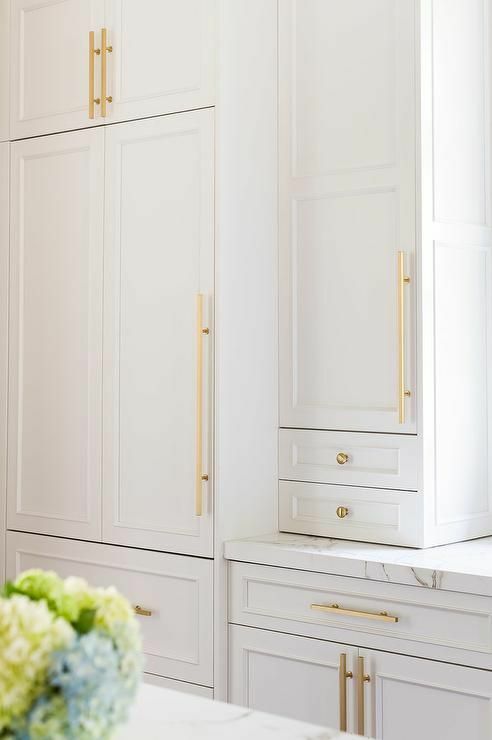 Hardware in the interior design world is becoming known as the jewelry of cabinetry. Replacing hardware is a simple process if you don’t have the budget for a complete renovation. Current trends show hardware that is very linear and minimal, usually with a polished or brushed finish. 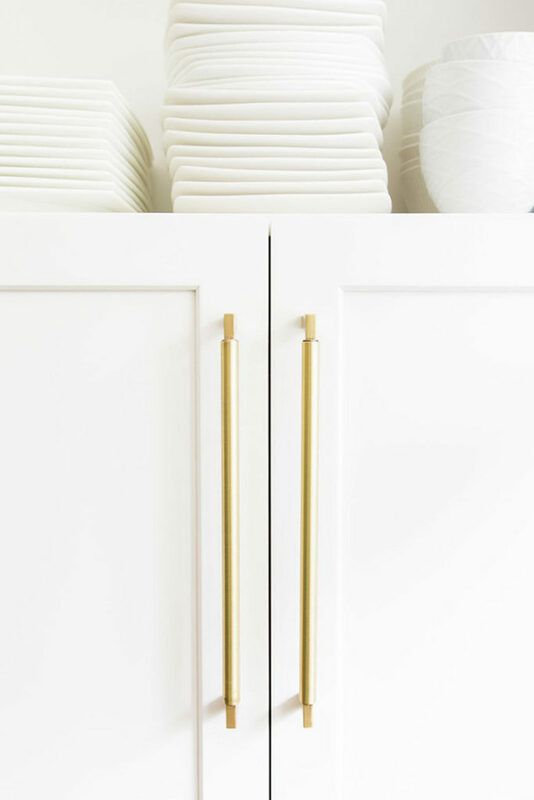 Because hardware is taking on the role of an accessory, selecting oversized options is great for adding an extra pop to your kitchen cabinetry design.